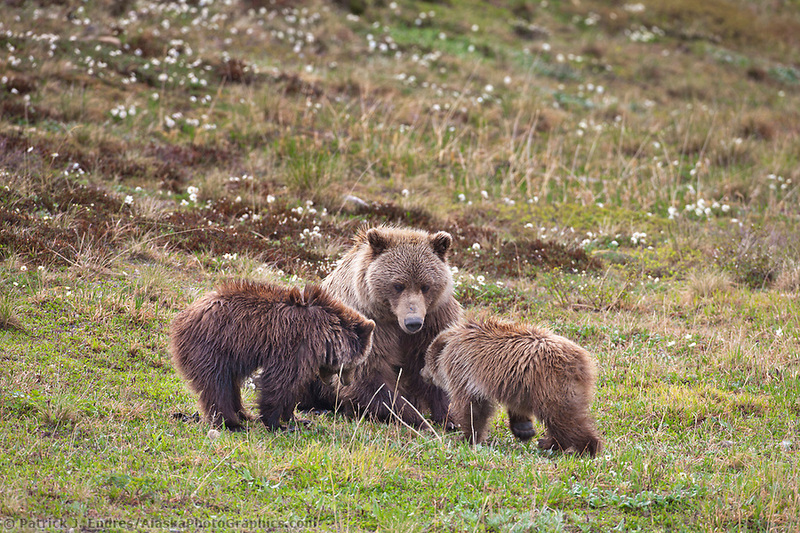 Grizzly bear photos from Alaska's Interior and Arctic landscape. 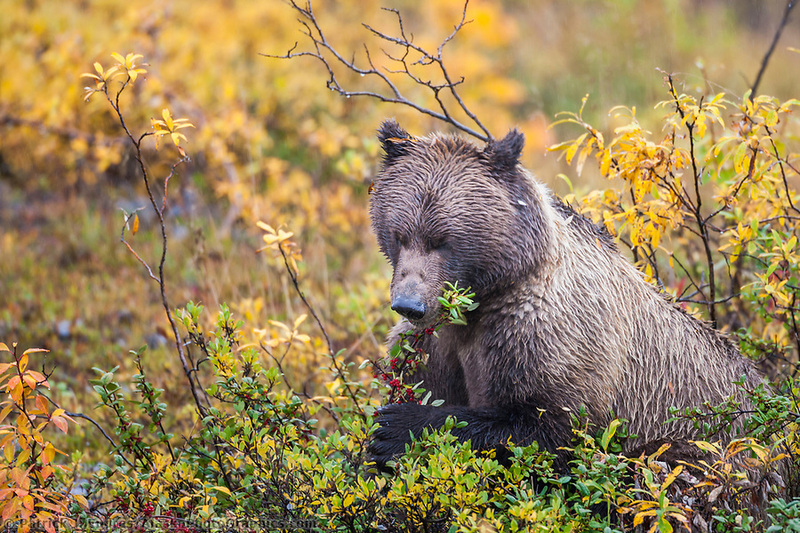 Grizzly bears are powerful animals and formidable predators holding the top position in the food chain for terrestrial Alaska mammals. 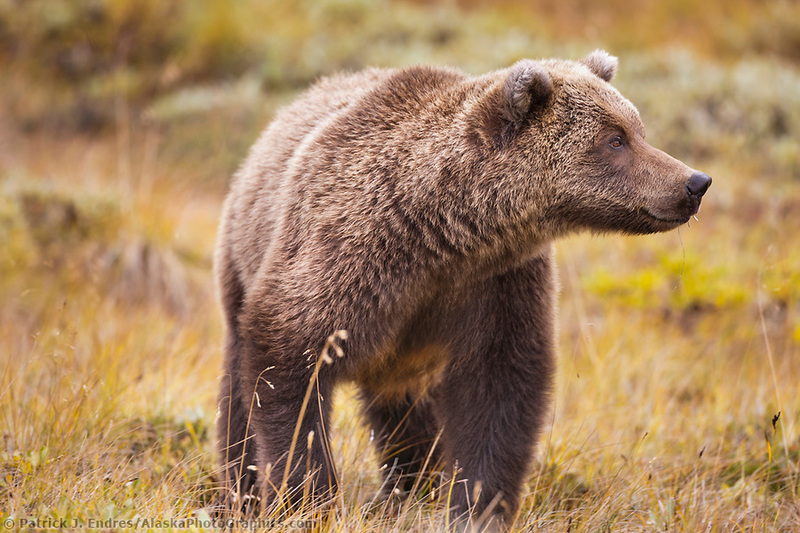 Grizzly bears are true omnivores, but contrary to what many believe, they are primarily vegetarian in their dietary consumption. 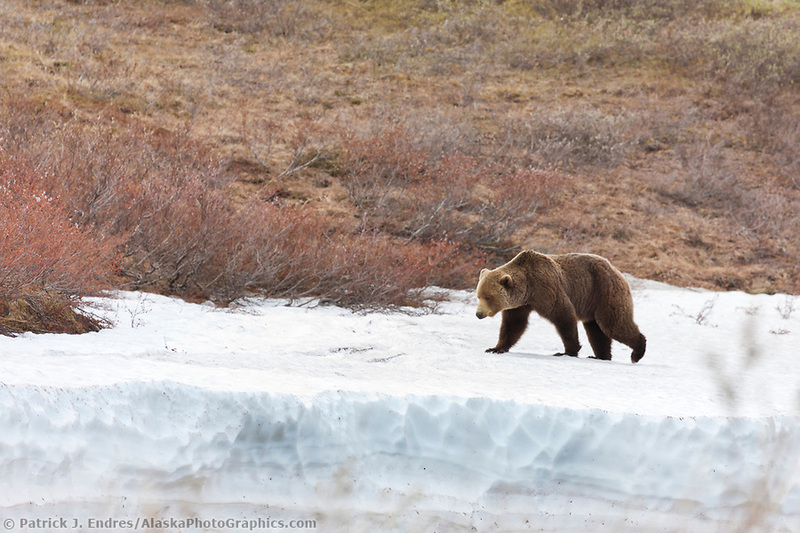 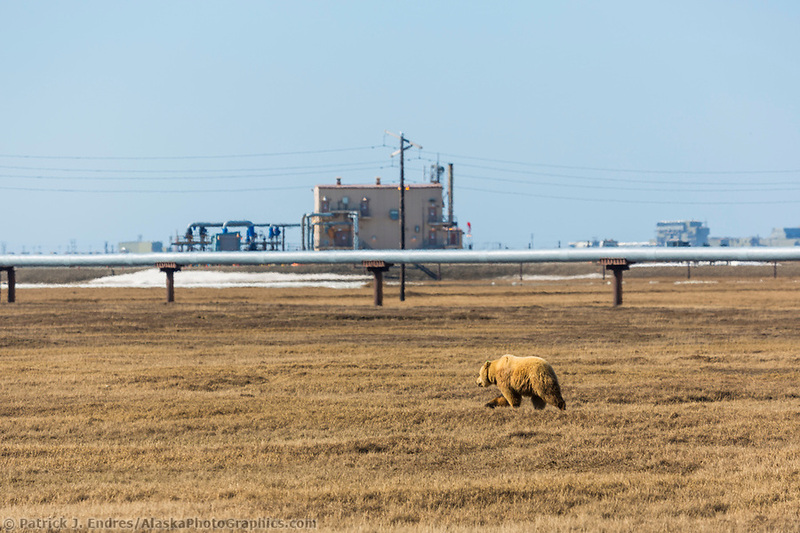 The grizzly bear photos below were taken in Interior and Arctic Alaska during my photographic ventures. 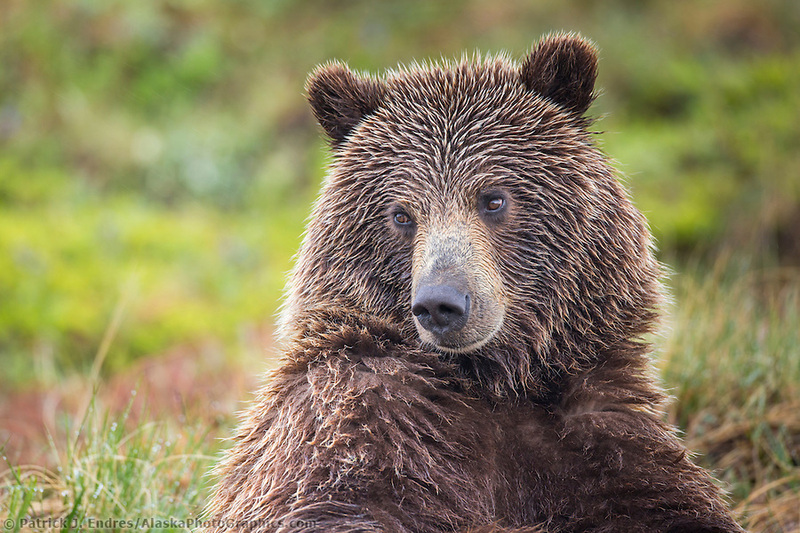 All of the photos on this site and in the associated links and galleries are available for purchase as stock photography, or as fine art prints to display in your home or office. 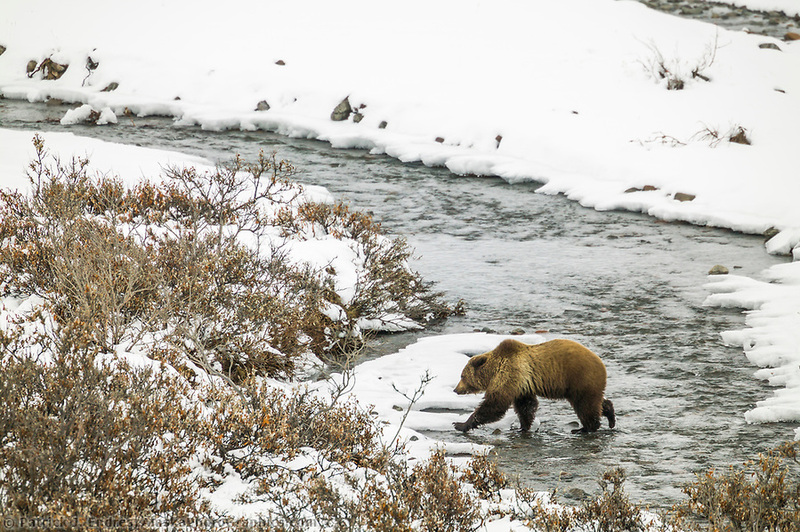 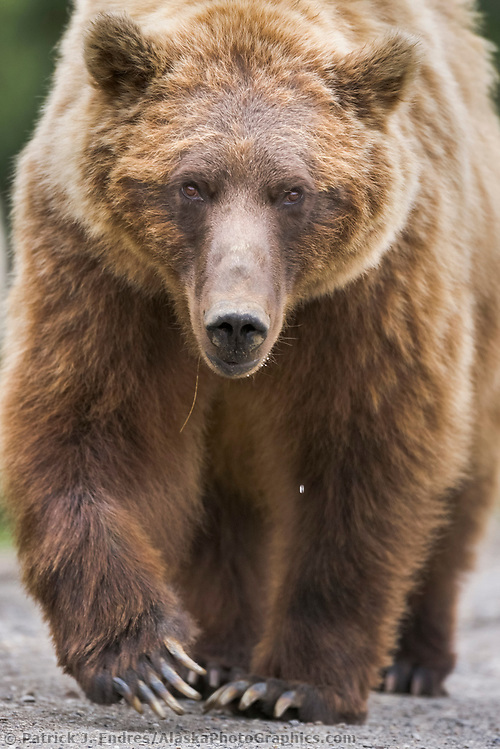 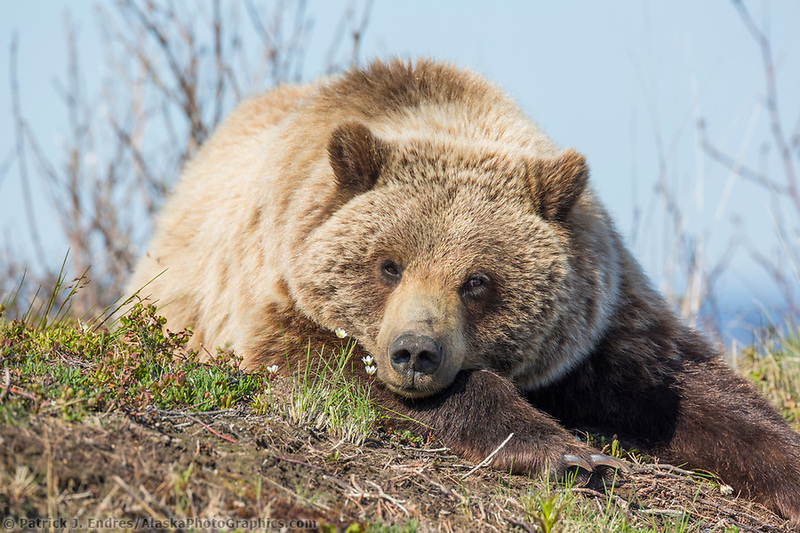 While the grizzly bear and brown bear are technically the same species (Ursus arctos), it is their regional based diet that differentiates them. 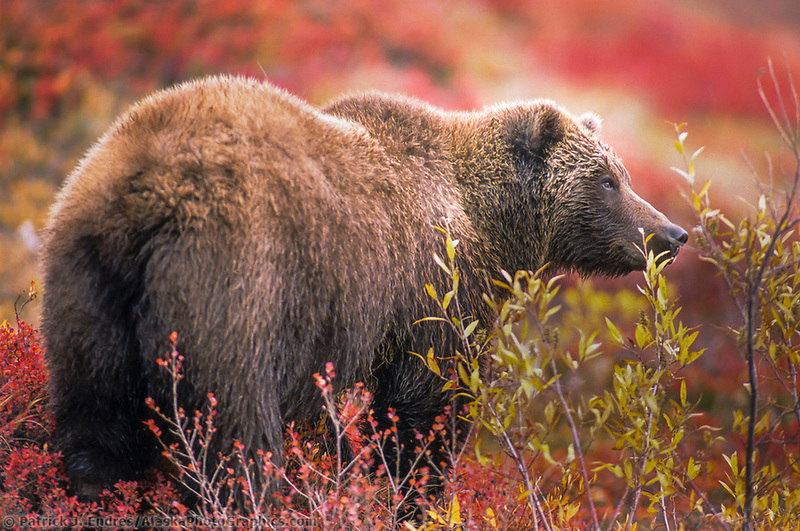 The brown bear is the larger of the two and inhabits the coastal regions where it feeds on a heavy protein and fat based diet of salmon. 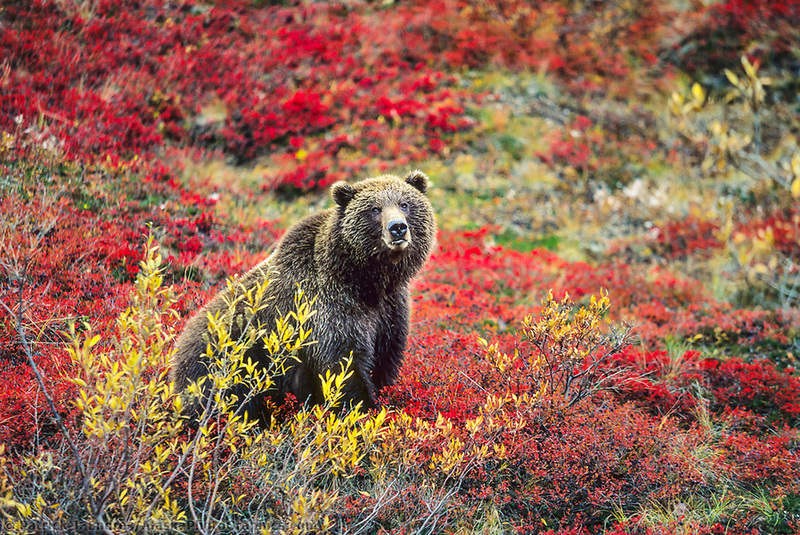 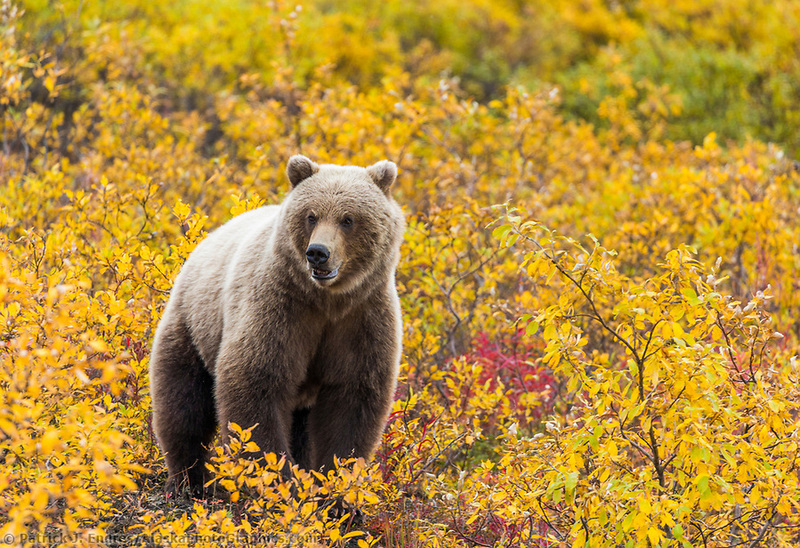 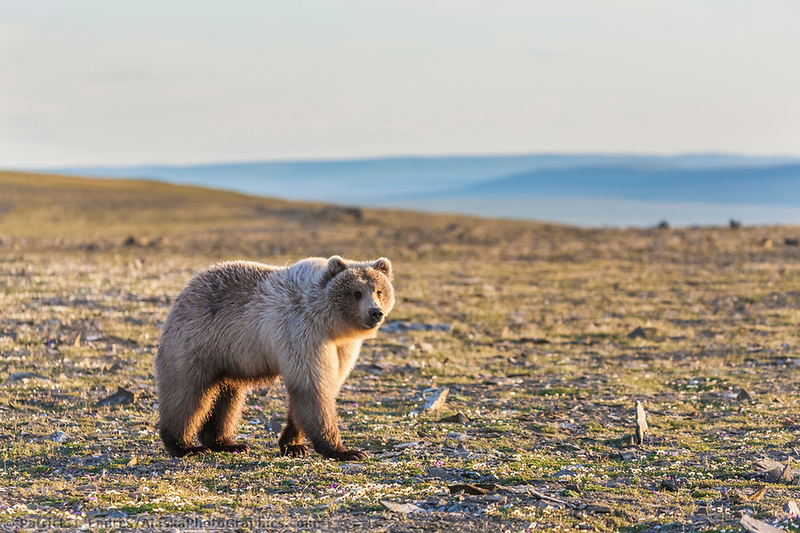 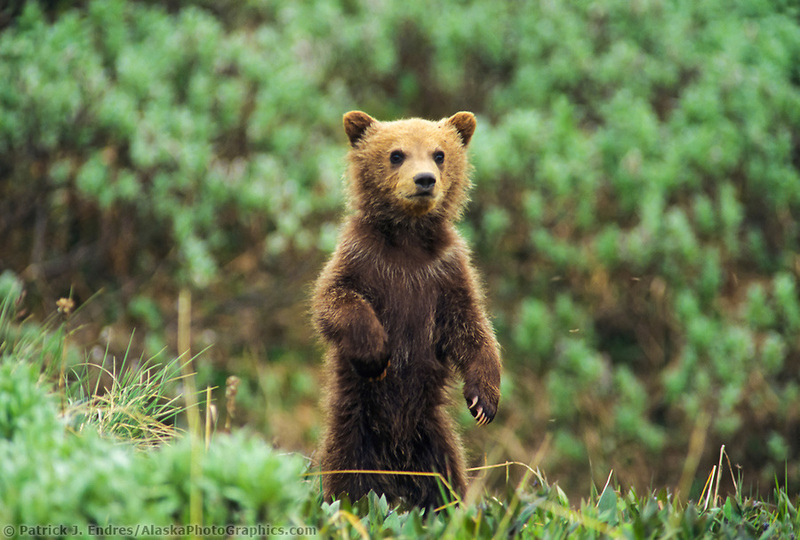 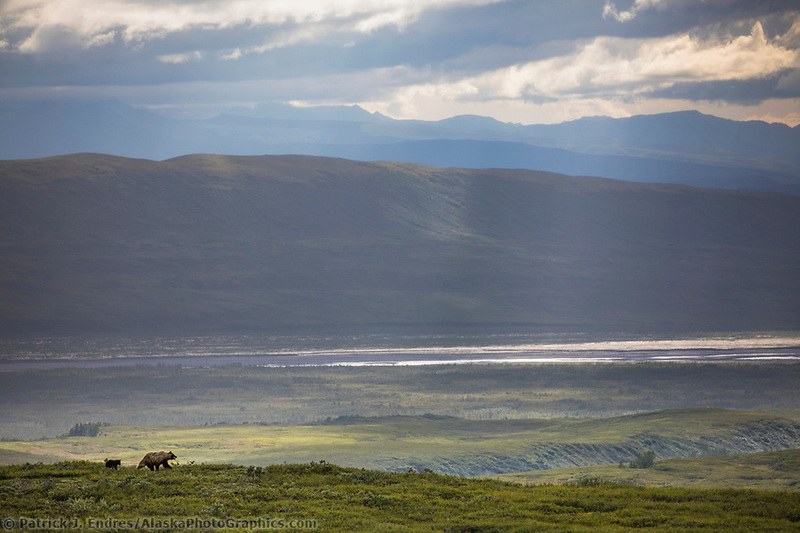 The grizzly bears inhabit the Interior and Arctic regions of Alaska where they wander the alpine tundra busily feeding on plants, berries, and animals during the summer months.